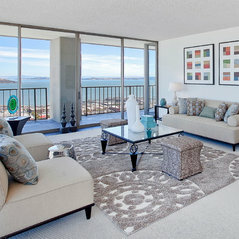 Stage Struck is a real estate staging company operating in the great San Francisco Bay Area. 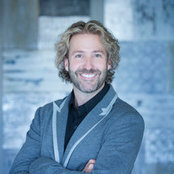 Steven is one of the pre-eminent designers in San Francisco and provides quality service to the home owner and realtor. This was a complete transformation of a drab townhouse into a modern contemporary living space, with minimal furnishings and art. Commented: LampsThey were purchased a couple of years ago at Home Goods. They are perfect for this space! Commented: Name of the woodI believe it's an engineered maple wood. Commented: Looking for a sofa like this! Can I get any info on it?I believe this was purchased about three years ago retail.Sorry, but I can't remember which store it was purchased from. Commented: Beautiful, airy! where did you purchase the rug?Hi. I think the carpet was very affordable on Amazon.com.